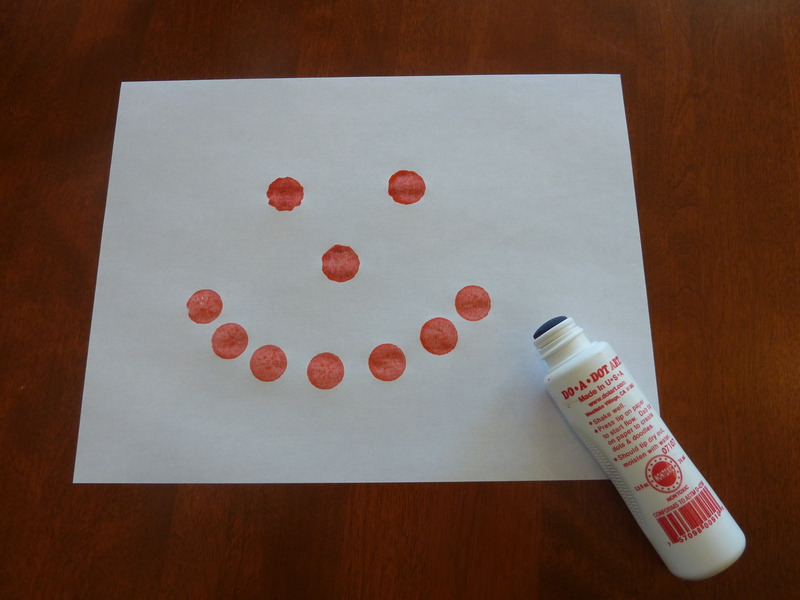 Do-A-Dot paint markers provide a great way to quickly and easily get an art project together without worrying about getting a lot of paint on fingers, hands, etc. 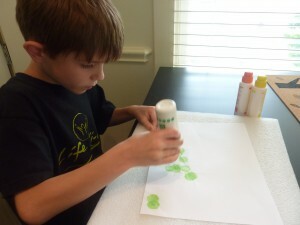 It also is a good way to build hand muscles by pushing and using pressure to make the dots on the paper. 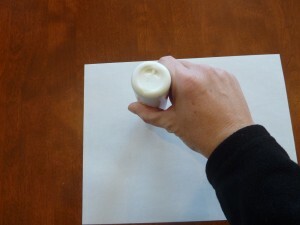 Building hand muscles by holding and applying pressure to the marker. 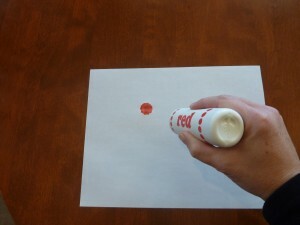 Push the marker and get a circle of paint. 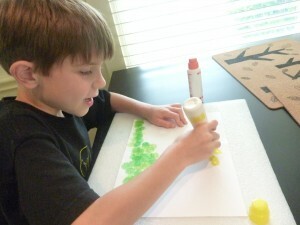 My Obstacle Course Station Activity: Use the Do-A-Dot marker to make a spring picture with green grass, a yellow sun and orange flowers. 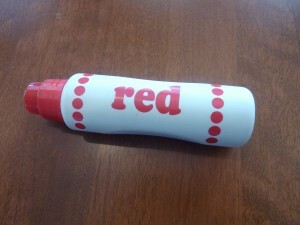 This took about 20 seconds to put together – a sheet of white paper and 3 Do-A-Dot markers. Instead of leaving this as a free form art project which tend to overwhelm Andrew, I gave it a purpose. 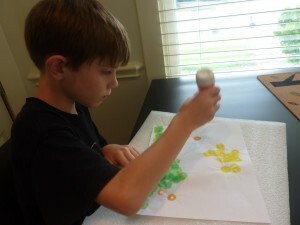 I had him use the green marker to make grass, the yellow marker to make the sun and the orange marker to make flowers. Some fun conversation while making the sun! Seriously considering where to place the orange flowers. 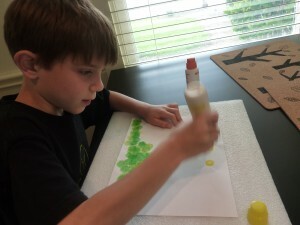 This was the perfect little art project for someone who doesn’t really get into art projects. Quick and fun for him while producing a beautiful piece for me to hang!